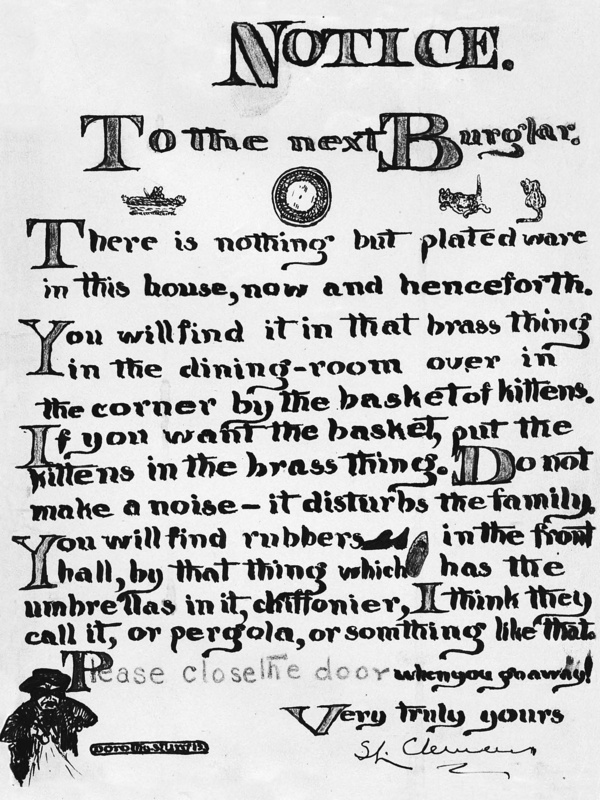 Samuel Clemens' note "To the next Burglar." Click on image for larger view. NOTICE. To the next Burglar. There is nothing but plated ware in this house, now and henceforth. 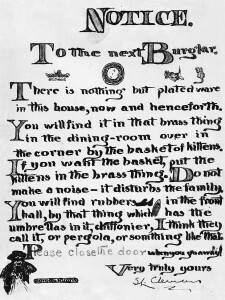 You will find it in that brass thing in the dining-room over in the corner by the basket of kittens. If you want the basket, put the kittens in the brass thing. Do not make a noise–it disturbs the family. You will find rubbers in the front hall, by that thing which has the umbrellas in it, chiffonier, I think they call it, or pergola, or something like that.